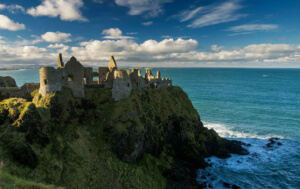 There’s so much to see and do just beyond Dublin’s city limits. 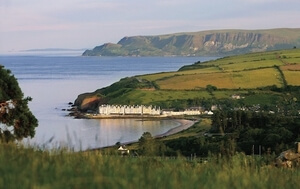 Head for magnificent mountains, national parks decked with russet leaves, castles under bruised fall skies, stately homes and gardens, a world heritage site, or refreshing beach walks framing the shoreline. 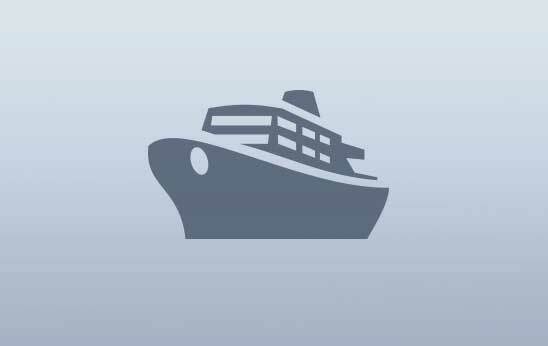 All stunning and all easily reachable by train, day tours, or self-drive. 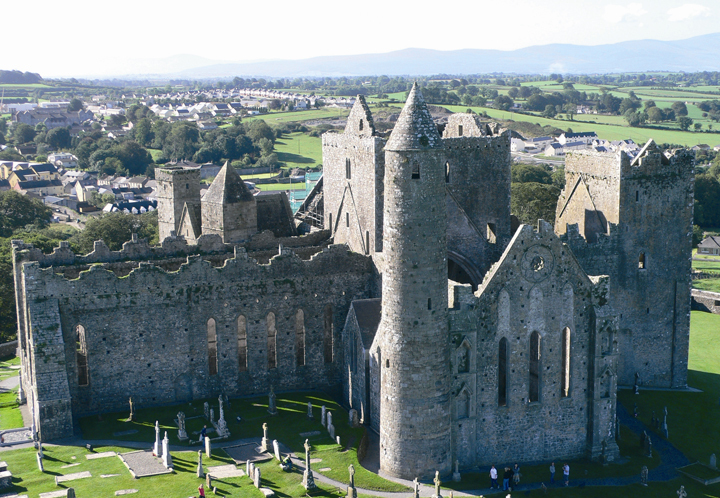 As you’ll discover, Ireland is a country rich in legends, history, and folklore. 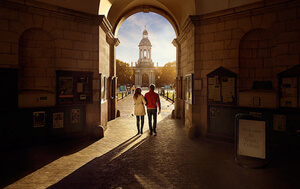 Wherever you go, there’s a story to hear and Dublin’s doorstep is no different. Its stories are etched on estates, formed in forts and living in the landscape: if you want history, you’ve found it. Like stepping into the past. Brú na Bóinne is a World Heritage Site and one of the most important Megalithic sites in Europe. 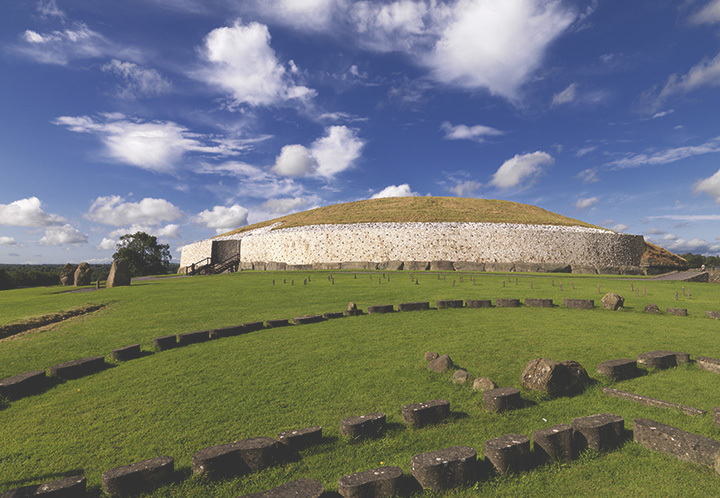 Older than the pyramids of Giza and Stonehenge in the UK, Newgrange is the most well known of the 3 Neolithic passage tombs, famous for the spectacular shaft of light that shoots through the tomb every year at winter solstice. 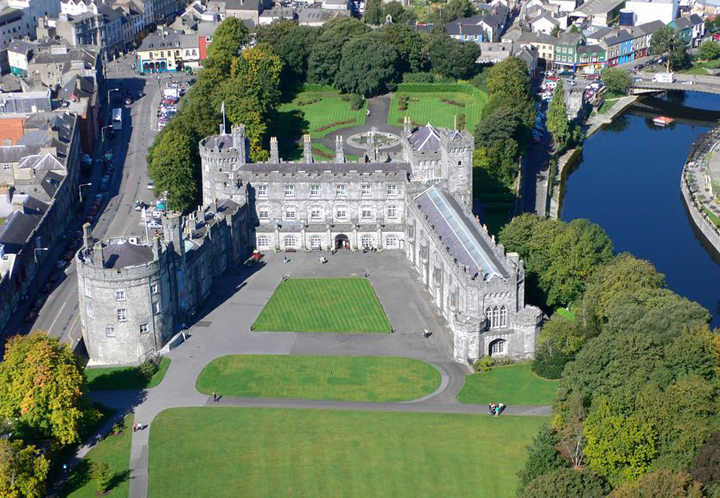 Kilkenny has been voted as Europe’s friendliest city and is home to the magnificent Kilkenny Castle. The city has some incredible architecture with the largest rosary window in Ireland at the impressive 13th century Black Abbey. Kilkenny holds close to its traditions, and the Made in Kilkenny Craft Trail is a keyhole view into the city’s craft legacy. Cormac’s Chapel at the Rock of Cashel in County Tipperary is a significant piece of Christian history, where 800 year old frescoes are being lovingly restored back to their former glory. Gold headed saints in blood red robes adorn the walls in this remarkable 12th century sandstone chapel. 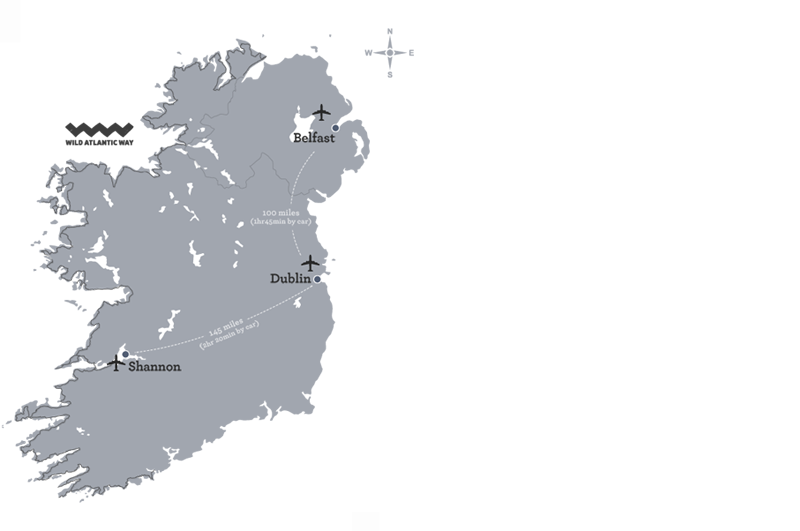 "…carefully designed walks are framed by the gentle beauty of the Wicklow Mountains." 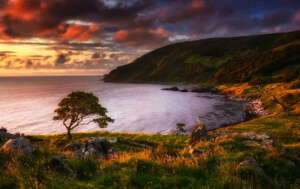 Did you know: Wicklow is known as The Garden of Ireland. Aptly named because of its rolling auburn mountains and bright purple heather. It’s also because of the stunning formal gardens that call the county home, such as Powerscourt and nearby Kilruddery, with its lines of Ilex Trees and Long ponds raise fall strolls from pretty to heavenly. In Carlow’s quixotic Altamont Gardens, ancient oaks and rare rhododendrons share space with the snaking River Slaney. Ensconced among pockets of verdant forest in County Meath, the pleasure gardens of Loughcrew are scattered with Lime and Yew Walks and curious sculptural surprises. Stretch your legs along the four-kilometer Lake Walk marked by typically whimsical fairy arrows. Who said formal gardens couldn’t be fun…? 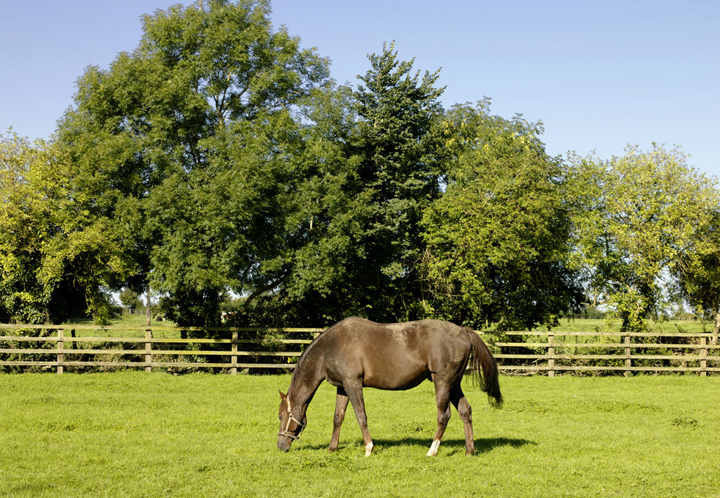 The National Stud is a 1-hour drive from Dublin. 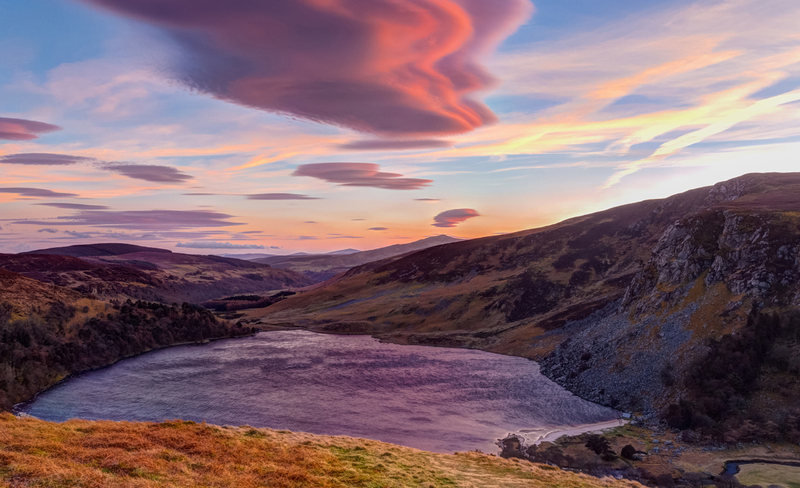 The Wicklow Mountains National Park has so much to offer. 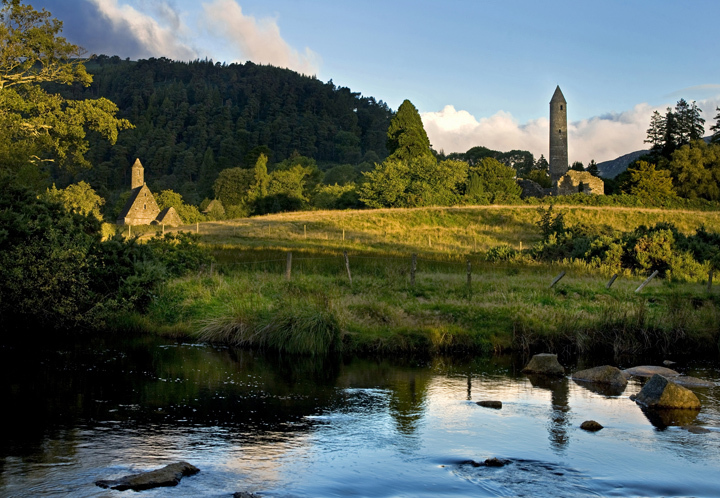 Top billing is a tie between the spiritually spectacular 6th century Glendalough monastic site or the vast mountain panorama. We’ll let you decide who wins. Fall temperatures ensure a cool crisp climate to tackle any of the nine hiking trails available (all levels of ability catered for), so don’t forget your walking boots. 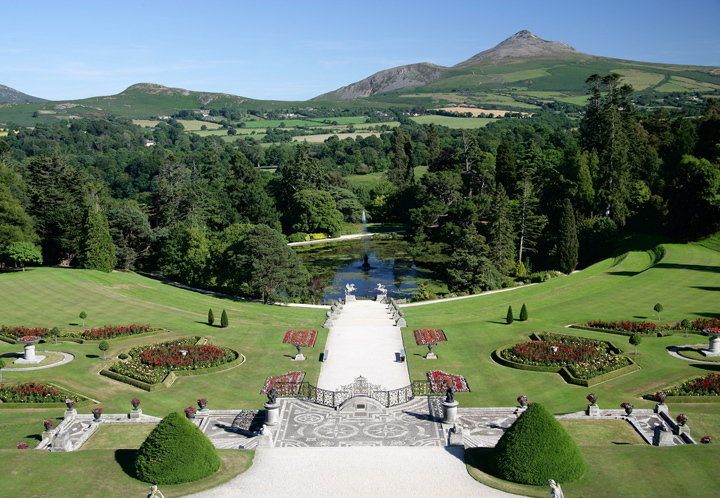 Powerscourt is one of Europe’s treasures and one of Ireland’s most famous estates. 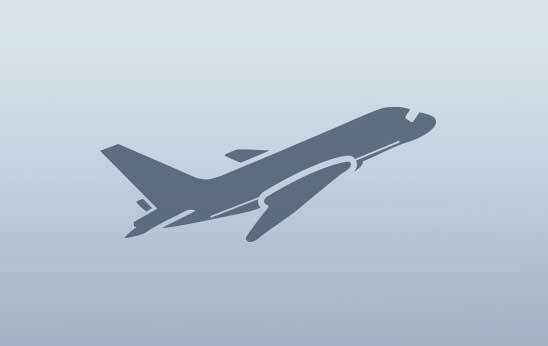 You’ll enjoy gardens, sweeping terraces, statues, ornamental lakes and secret hollows. While there you must see Powerscourt Waterfall 3 miles from the main house; Ireland’s highest waterfall at nearly 400ft tall – a beautiful sight that cascades into the Dargle River. Powerscourt House & Gardens are a 35 minute drive from Dublin.